Ampio VD-6880 Hi-Res Bluetooth Amplifier review. Do you ever feel like your smartphone just doesn’t have enough power or a good enough DAC to get the best from your headphones? Or maybe you want to play music from your tablet or laptop and still be able to move about freely? The device we’re looking at today can help you do that and much more. Meet the Ampio VD-6880 Bluetooth headphone amplifier. At the time of writing, the VD-6880 has an MSRP of $249. Before we get into the device, I want to share a little bit of information about the brand. 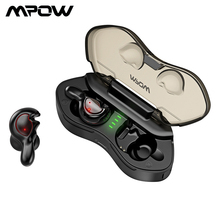 Ampio is a subsidiary of Vencer Co., Ltd., who has been making Bluetooth and audio-related products as an OEM/ODM business since its founding in 2007. After observing the rapid adoption of Bluetooth products in the market over the past few years, they started thinking of other ways of running the business to solidify its sustainability. 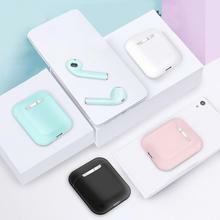 Thus, in November 2017, they launched Ampio as their own brand, utilizing the technical expertise in Bluetooth and audio they had accumulated over the years. With a mantra of “Pure sound – Pure mind”, they wanted to make products like no other in the contemporary market. So they pursued the optimal codecs of modern Bluetooth V5.0 technology by applying a hybrid of aptX HD and LDAC in their products. So far they have 3 headphone amplifier models, which were designed at the Vencer HQ in New Taipei City, Taiwan and manufactured in their partner factories in Dongguan, China. The Ampio VD-6880 comes in a white-sleeved box. The cardboard sleeve has a clear image of the amplifier on the front and a list of features on the back. Underneath the sleeve is a black box with the brand name and slogan in gold print. Once you open it up, you’re presented with the amplifier, which is secured on an angled cardboard insert. Looks pretty classy if you ask me. The rest of the accessories are under the cardboard insert and include a silky fabric drawstring pouch, a Micro-USB cable, a 3.5mm audio cable and a user guide. It would have been nice to see some silicone feet and straps included for stacking the VD-6880 with a phone or when sitting it on a desk. A mini SPDIF cable would be a welcome addition as well. Vencer’s experience in manufacturing is immediately apparent when looking at the Ampio VD-6880. The craftsmanship is very high quality and feels as good in the hand as it looks. A single piece of CNC machined alloy makes up the chassis, with an additional panel attached at each end. The chassis has a matte black finish that is smooth and fingerprint resistant. There are 2 colour options for the Ampio VD-6880; matte black and champagne gold. Weighing in at 136g, the VD-6880 feels solid and substantial in the hand without feeling heavy. On the top of the device is the familiar Hi-Res Audio sticker, and the brand name. The front panel consists of (from left to right), an input selection dial with LED indicator, a 3.5mm headphone jack, power/charging LED and finally, the volume knob. You can see the status of the VD-6880 when plugged in VIA USB; the LED shows red when charging and during playback. The LED changes to green when it’s fully charged and not streaming music. The select and volume knobs have good resistance to them. By that I mean they’re easy to manipulate but firm enough so as not to move unintentionally when the amplifier is in your pocket. On the back are (from left to right), SPDIF Out, SPDIF In, Line In and USB In, all of which are clearly labelled. Overall, the build quality is very solid. The only thing that frustrates me a little is using headphones with a right-angled plug, as it can get in the way when trying to adjust the knobs. In charge of the decoding duty is the Texas Instruments PCM5102A DAC. The DAC supports up to 32-bit, 384kHz PCM and has an automatic power-save mode. Output power is 90mW at 16 ohms, 70mW at 32 ohms, 20mW at 160 ohms and 10mW at 320 ohms. For Bluetooth, the VD-6880 utilizes the Qualcomm CSR8675 Bluetooth Audio SoC which supports Bluetooth 5.0. The Ampio VD-6880 is super easy to use. You just plug in your source, or pair with Bluetooth, select the correct input on the input selection dial and you’re off and running. The stepped volume knob is easy to manipulate and is firm enough so that you can keep it in your pocket without accidentally changing the volume. When I connected the VD-6880 to my computer’s USB, Windows 10 recognized it immediately and went to work setting it up. Within less than 5 seconds (I have a beefy PC with SSD) it was ready to go and I didn’t need to press a single button. From there all I had to do was select the Ampio from my computer’s sound settings. On my desktop computer, I use a mix of Foobar2000, MusicBee, Spotify and Tidal Master. The Ampio was recognized and performed flawlessly with each application. It was a similar story with my Linux-based work laptop and my Android smartphone (with OTG). Just plug and play. Love the simplicity! On the laptop, I use Clementine music player or Foobar2000 and on my smartphone, I use BlackPlayer and the Onkyo HiFi Player. Pairing the Ampio VD-6880 is fast and easy. I tested the Bluetooth connection with my Android phone and with the Acoustic Research AR-M20 DAP. The signal strength is very solid and with my phone, which has a much stronger signal than the AR-M20, I was able to reach the full 10-metre operating range. I had no problems with having either device in my pants pocket and the VD-6880 in my shirt pocket. The VD-6880 supports aptX HD and LDAC, along with AAC and SBC. Sadly I don’t have a device to test LDAC yet but I did test aptX HD with the Acoustic Research AR-M200. I must say, aptX HD sounds fantastic and is a definite upgrade from regular aptX. It gets very close to the quality of a wired connection. According to the documentation, the VD-6880’s built-in 3.7V rechargeable Li-polymer battery is good for 10 hours of continuous play. During testing, I found that to be accurate and could easily get through a heavy-listening day without a problem. The battery takes 2 – 2.5 hours for a full charge. The task of a DAC is to convert digital data into analogue audio signals. I’m sure most of you reading will know that already. There are things to take into consideration when judging the performance of a DAC, such as timing, jitter, noise floor etc. Similarly the amp section of each device has its own nuances and is arguably the bigger factor in the audio output quality. So I’m not going to break down this section too much but instead concentrate on noise floor, distortion, and output power. If a DAC / amp combo performs as intended, it should be as neutral and transparent as possible and leave the sound shaping to the transducers connected to it. The VD-6880 has a neutral and transparent sound overall. Essentially what you hear will be dictated by the connected source and your transducers. I couldn’t detect any hissing or background noise, even with sensitive IEMs, although my measurements did show a higher noise floor than the Acoustic Research AR-M20. The HDA-DP20 (review here) is a portable DAP, featuring dual Cirrus Logic WM8740 DACs. Its headphone output power is rated at [email protected] ohm. I found the HDA-DP20 to have slightly greater transparency and end to end extension, most notably in the sub-bass, although the difference is almost imperceptible. The HDA-DP20 is a hint smoother, while the VD-6880 has a more energetic approach with faster transients and more definition. It should be noted that the HDA-DP20 is not a plug and play device (on Windows 10). Installing the Windows driver is a bit of a chore and requires disabling unsigned driver protection and a reboot before you can run the setup process. Of course, you only need to do this once but it could be a real headache for someone who is not computer savvy. Both devices were able to drive the AR-H1 and DT990 Pro headphones to levels that were uncomfortable for my ears. There’s enough volume there to satisfy, assuming you’re feeding the devices a good quality recording. Despite the HDA-DP20 having a higher noise floor, I did not hear any hissing on either device. The Aune X1s ( review here) is a bit more edgy with sharper notes/transients. End to end extension is slightly better, but again, the difference is very minimal. Resolution and transparency are a little better but having said that, it’s not really a fair comparison, as the X1s is a dedicated desktop unit. Both units have an energetic and lively presentation compared to the slightly smoother HDA-DP20. Of course, the Aune X1s has way more driving power but it also does not fit in your pocket! My purpose in adding the Aune for comparison is mainly to highlight the fact that the Ampio holds its own well against it in terms of pure DAC performance. As Bluetooth devices become more and more commonplace, it’s interesting to see the new ways that the technology is being implemented. The Ampio VD-6880 can essentially turn any headphone or earphone with a 3.5mm jack into a wireless device. What makes it even more compelling is the versatility it offers with its various input and output options and the ability to use it as an external DAC. Another thing that makes the VD-6880 stand out is the support for aptX HD and LDAC codecs for true Hi-Res Bluetooth. Overall, I think this is a really handy and multipurpose device. If you’re looking for a portable Bluetooth amplifier, be sure to check out the Ampio VD-6880. Hi Bungo. The G1 is neutral with good extension on both ends. Hi. How would you describe the overall tonality of Ampio G1? Warm to neutral? Somewhat analytical? I’m curious to know what people think about having only a 3.5mm single-ended output. At this price it would be nice to have balanced as well. So today’s question is: Do you think portable amps at this price should offer a balanced output or are you satisfied enough with unbalanced? Sennheiser IE 800 S review. The tiny juggernaut.